Preheat oven to 400°. Cut peppers lengthwise in half; remove seeds. 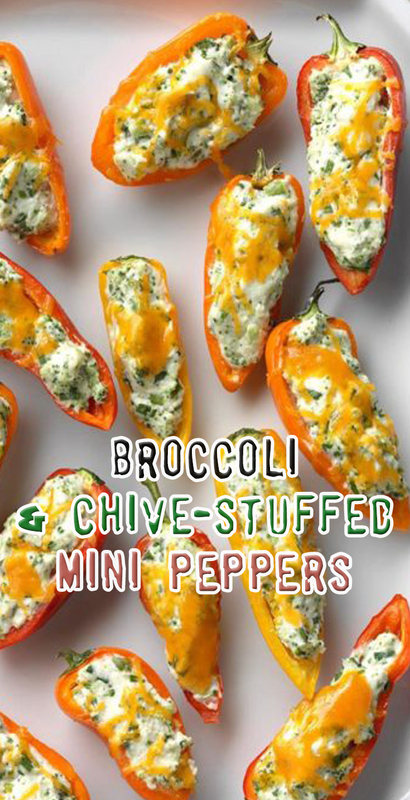 In a bowl, mix cream cheese, chives, salt and pepper; stir in broccoli. Spoon into pepper halves. Place on a foil-lined baking sheet; bake until heated through, 9-11 minutes. Sprinkle with cheddar cheese. Bake until cheese is melted, 3-4 minutes longer. Cool slightly before serving.